Yes, these places really do exist. Houses that are lost in time, waiting for you to to them up. 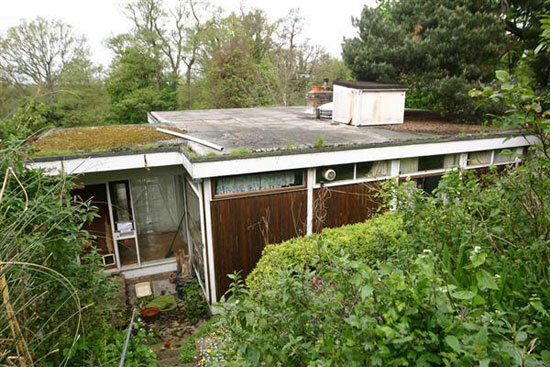 Credit to Kirsten Abbott who spotted this wonderful 1960s four bedroom midcentury-style property in Keston, Kent, which certainly needs a bit of care and attention. 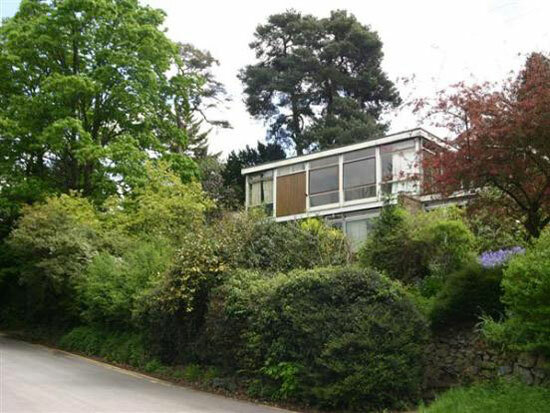 Not a lot of details from the agent, but we did feature this Roy Hickman design in Keston a while back, which dates from 1961. We suspect this is from around the same time. 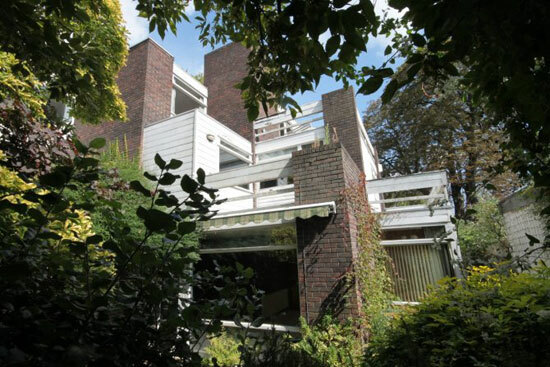 It might even be from the same architect, who was active in the area. 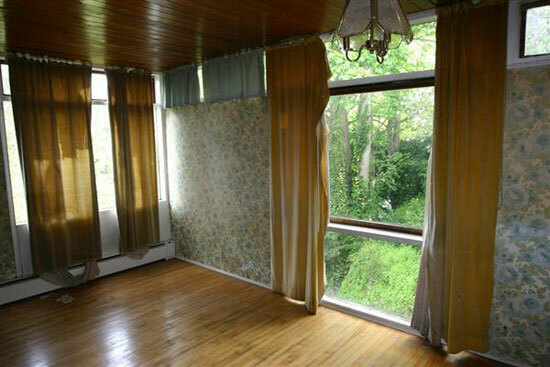 All we get from the agent is ‘1960s’ and ‘ground breaking’. The house, which sits in an elevated plot and offers up woodland views from that vantage point, has been in sole ownership since its construction. 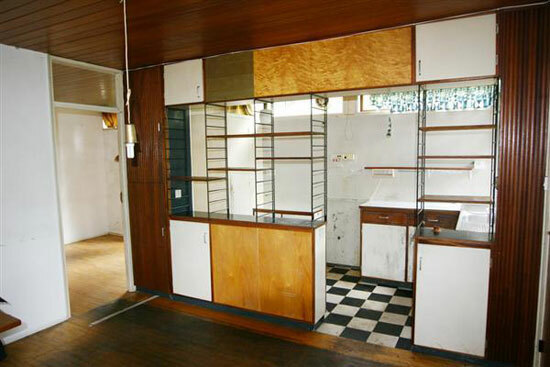 It is now being sold ‘in a state of poor condition’ and ‘is not for the faint hearted’, according to the agent. 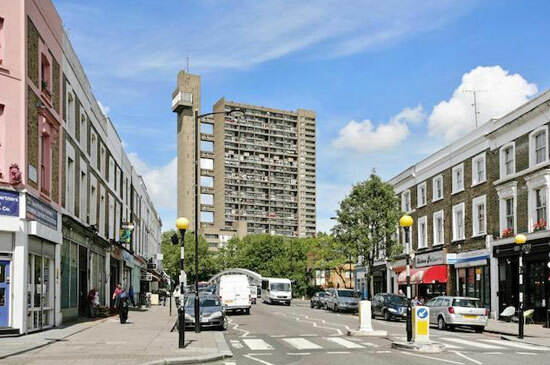 It is being pitched as a refurbishment or ‘perhaps complete redevelopment’. Don’t let the latter happen. Obviously, you’ll need the money to stop that happening, which isn’t cheap. We suspect that might be down to location though, which is perhaps good news if you do want to take it on. 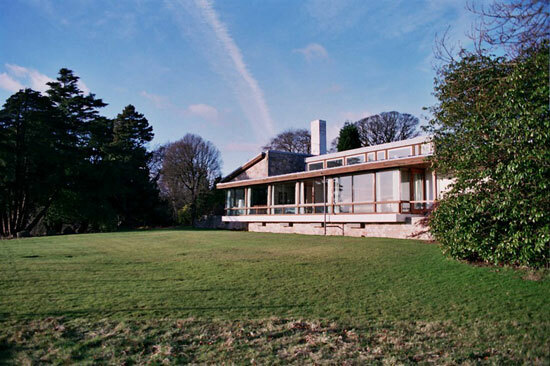 In its present state, the house offers up an entrance porch and lobby, leading to kitchen/breakfast room, a long living room with panoramic view and a hole in the wall fireplace, an inner lobby, two bedrooms with built-in wardrobes, a bathroom with circular sky light window and a third bedroom/study. 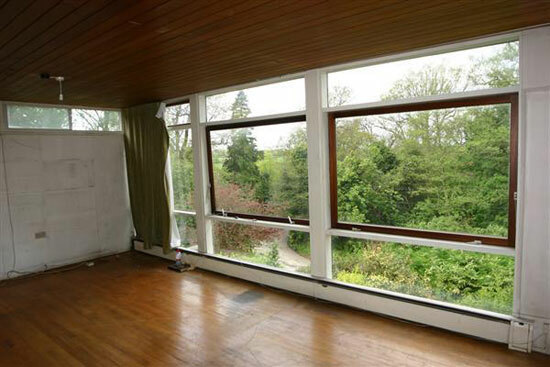 Head to the lower ground floor and you’ll find the main room with full-length windows, a second room with a full-length window to the rear, access to a cellar, a utility/boiler room, cloakroom and integrated garage. Gardens too, overgrown as you might expect. 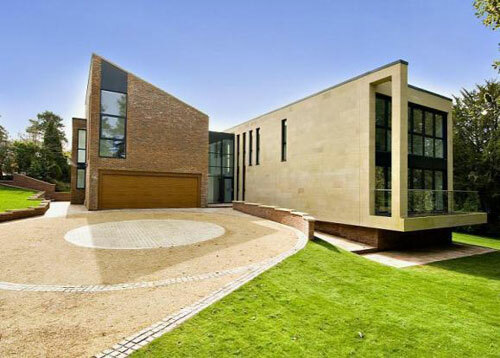 The price is around £500,000.